The Fiocchi Nickel-plated Buckshot is a great way to step up your game in the field. Nickel plating offers a more true flight, as the shot retains it original aerodynamic shape. This offers a dense pattern, increased accuracy and deeper penetration. 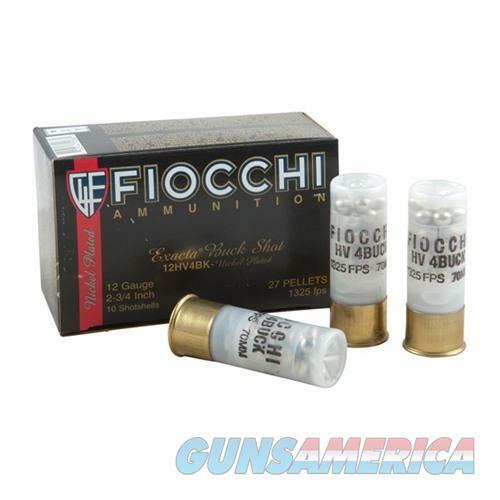 Fiocchi of America Ammunition is manufactured with American sourced powders and high quality components. Fiocchi has been producing quality ammunition since 1876 and is proud to present a wide variety of products for hunters, target shooters, law enforcement and competitive shooters worldwide.